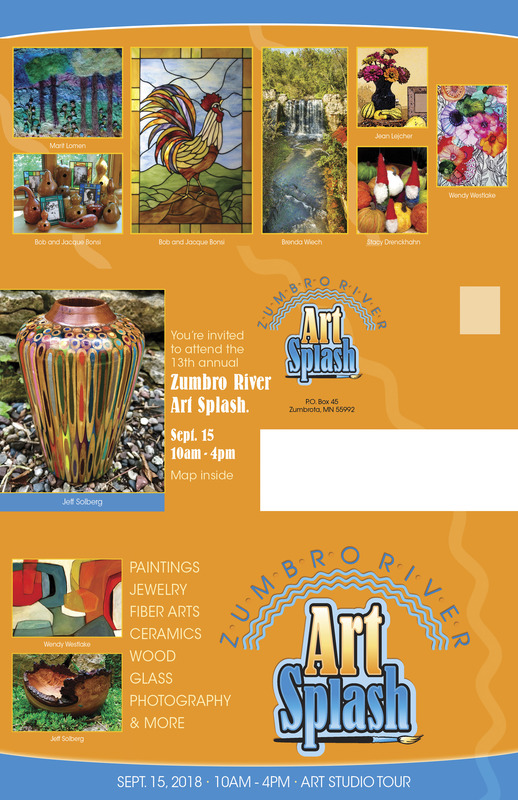 We hope you will join us for the 13th annual Zumbro River Art Splash on Saturday, September 15, 2018 10 am- 4pm. Discover our area’s rich art, literature and history on a self-guided tour of artist studios in the Zumbro River Valley area. 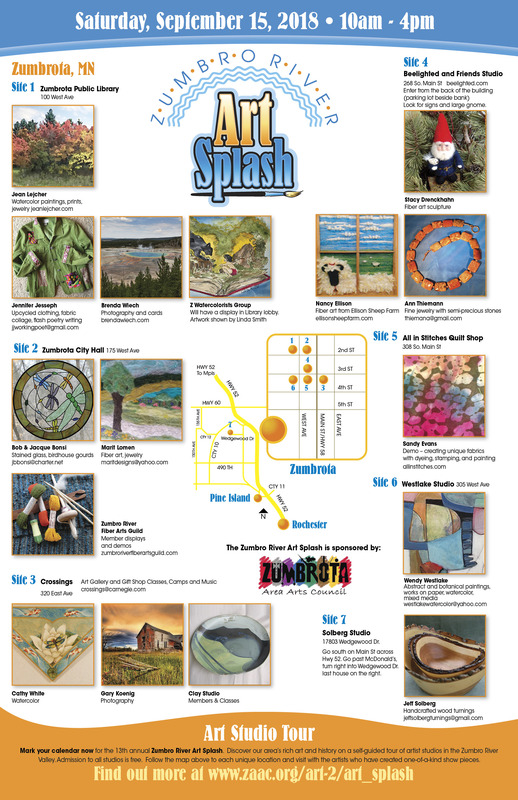 Brochures, including a map to all the studios, events, and a list of artists, will be available here and at area merchants in the summer months preceding the splash.